I'm excited to introduce to you a new brand that I am carrying for the store. Herbivore Botanicals is a 100% natural skin care company based in Seattle, Washington. They offer simple yet effective products that don't hurt the wallet either! This small batch company sources the finest raw natural materials the earth has to offer, from Japanese Bamboo Charcoal to Brazilian gemstones, to formulate products that are luxurious and all natural by combining essential vitamins, minerals and botanicals to restore skin to its optimum health and vitality. 1. Pink Clay Mask - With just a few drops of water, this pink powder mixes into a clay like paste. I lather it on with a small make up brush and let it dry for about 10 - 15 minutes. Once dry, I wash it off with warm water. My skin feels instantly smoother and tighter. 2. Rose Lip Balm - The scent is not too over bearing and the scent of rose is such a pleasure. The balm keeps my lips nice and moist all day without feeling too sticky. 3. 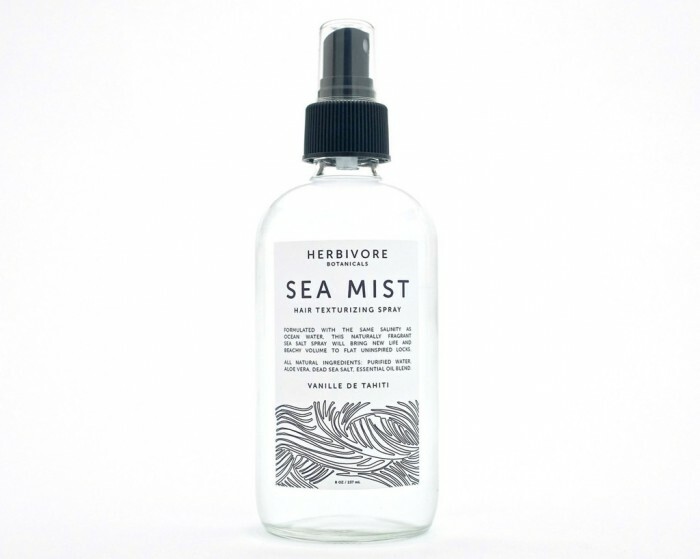 Sea Mist - I use a flat iron to create my beachy waves and spray this Lavender Sea Mist in my hair to give my waves some added texture. It doesn't leave my hair feeling sticky or hard and it provides my hair with just enough texture and bounce without the added stickiness of hair spray and gels.